Many adults were educated before much was known about climate change, and may be confused by the misinformation propagated by self-interested industries and politicians. 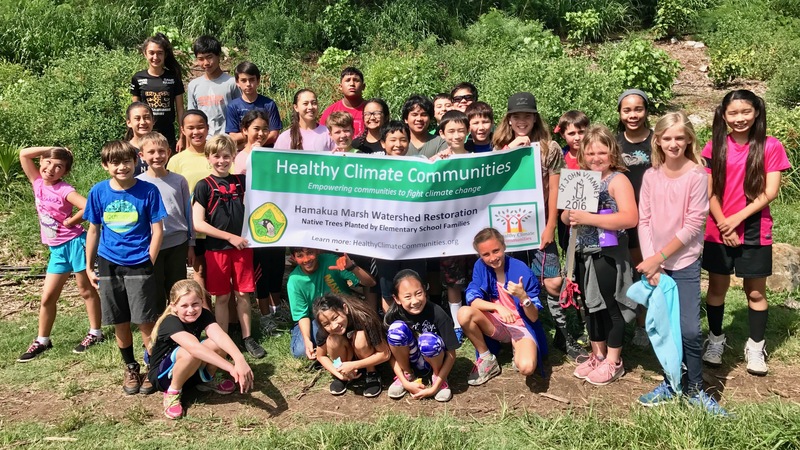 Healthy Climate Communities is working to make sure the next generation will have an age-appropriate understanding of Climate Change and what they can do about it. Schools on Oahu can sign up for three workshops, adapted to the grade/s chosen by the school. Land use change, climate change and the impact on native species. The workshops are interactive using games, role play and coloring to teach the concepts in an age-appropriate way. The curriculum and materials were generated in-house and have a local focus where possible. NGSS grade-level Performance Standards met with a Hawaii focus, and direct connections to Nā Hopena A’o and English and Math Standards. Author has 16 years in-classroom experience and extensive graduate studies in ethnomathematics, place-based STEM and Hawaiian Studies. 5th grade unit on earth systems (and other 5th grade DCIs). Hawai’i materials include GIS maps, illustrations, real data from State to watershed level, and design task with native trees. Available Spring semester. 6thgrade unit on climate change (and other 6th grade DCIs). Includes experiment, learning about graphs, and design task with school-based activities. Please contact us to pilot curriculum Spring semester. Place-based education at the marsh on the native birds and plants is tied in to workshop themes and includes a service component. Talks on Climate Change and the project have been given to High Schools, parent groups, clubs and other organizations upon request. As a member of the Windward Climate Change Hui, Lisa was a co-organizer of a symposium almost 200 people in attendance, 6 speakers and 10 different groups with work related to climate change hosting booths. Video links to the talks and other useful information is available here.